According to the U.S. National Highway Traffic Safety Administration (NHSTA), there were some 15,000 bike-versus-car accidents in 2014. And it is readily apparent how many of these collisions occur. Often the cause of the crash is driver inattention, and with the prevalence of cellphones and texting that continually consume drivers’ attention during a typical car trip, operator inattention is not likely to go away. Couple this negligence with apathetic drivers or vehicle operators who are ignorant that the rules of the road apply to not only other vehicles, but bicyclists as well, and the result is predictable. When those collisions happen, the rider is almost always the one injured. There are a number of ways bike-versus-car crashes occur. However experience teaches us that the most common types of bike/car cases, like motorcycle/car accidents, involve turns. And the largest share of the cases we have handled for injured bikers and motorcycle riders did indeed involve cars or trucks turning into the path of a biker or, in one case, failing to give room as the driver tried to overtake the bike rider. These hazardous situations arise quickly during a bike ride, and it is important to recognize that such a condition is developing. An example is noticing a person sitting behind the wheel of a parked car when riding past a string of parked cars. Expect the door to open. If you’re a relative newcomer to biking or have kids that ride their bikes on roads, we suggest seeking out and taking a defensive riding course if one is offered near you. At Cramer & Anderson, we handle serious personal injury cases that result from crashes caused by the negligence of a driver involved in a bike against car collision. If you or a loved one has been injured in such a crash, consider calling us. We can help. The firm has offices in New Milford, Danbury, Litchfield, Kent and Washington Depot. Our attorneys who handle Personal Injury Law also include Scott McCarthy, Barry Moller, Kenneth Taylor, Jennifer Collins, Abigail Miranda, Christopher Sochacki, and Thomas Mott. 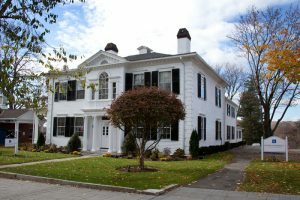 To reach me or one of the other attorneys, call the New Milford office at (860) 355-2631 or see the firm’s website at www.crameranderson.com.